I picked up this brand-new palette from Urban Decay last weekend and wanted to quickly share it with you guys. I will be on the road quite a bit this holiday season and this set is perfect when I want to travel light. 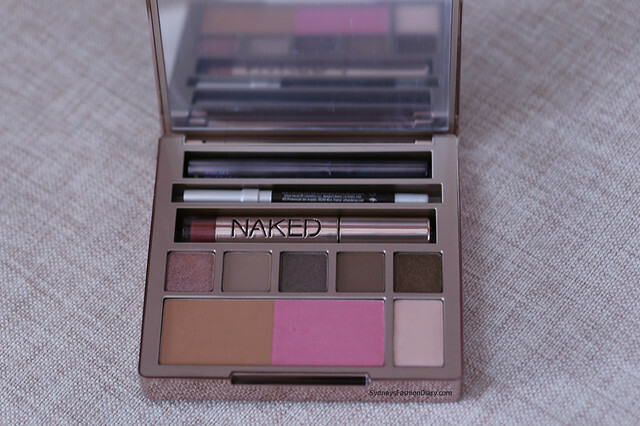 Since I am not a makeup junkie, this palette is pretty much ALL I need. The packaging is a little bulky but adorable. The large mirror is definitely a bonus. I haven't had time to play with it yet but everything did swatch beautifully in-store. If you're looking for a great travel companion, I highly recommend you give this palette a try. Since it's a limited edition, you better act quick =) More details about this set here. What a beautiful dress, you look gorgeous!